There were 90.769 million cattle and calves on U.S. farms as of January 1. That number is 2.1% lower than on year ago and 0.5% lower than the average of analysts’ pre-report expectations- a relationship that is mildly bullish for cattle prices this year and next. The U.S. Supreme Court’s unanimous decision, announced yesterday in National Meat Association vs Harris, saw activists immediately start their propaganda machines. The High Court struck down California Penal Code 599f with Justice Elena Kagan saying, The Federal Meat Inspection Act already covers the issues that the state was attempting to regulate. USDA released on Friday its monthly update on cattle on feed supplies and meat protein stocks in cold storage and, overall, the data was supportive of meat prices in the short to medium term. This week the Yahoo News’ homepage hit a nerve with me with its list of most worthless degrees. Yahoo!’s list of five useless degrees, in order: agriculture, fashion design, theater, animal science and horticulture. While I don’t believe for a minute that Yahoo is a real news outlet, I would have expected even them to get more of the facts right. Like Greg Henderson from Drovers said, call me a hick or county-bumkin, mock my clothes or my quaint manners such as “Yes, ma’am,” and “No, ma’am,” but don’t criticize my chosen profession. And don’t do it with your mouth full. 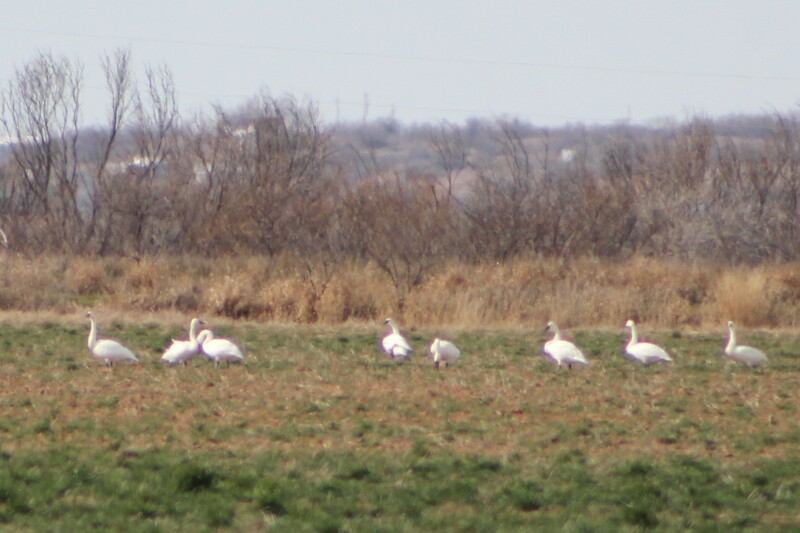 Tundra swans were in a large field on the left side going towards Diversion on FM 1180 earlier this week. The latest WASDE forecasts for US beef, pork and poultry supplies in 2012 showed little change from December. November beef exports did not challenge the record level of 90,282 metric tons set in July but were very strong none the less, breaking last year’s November high of 71,582 metric tons.